We ❤️ our customers, and we celebrate every new hotel kicking off with advocacy. Last month was especially fun as we’re turning a corner into summer thanks to a ton of new launches from our neighbors to the south—the Caribbean! Jamaica Inn in Ochos Rios is an intimate property where their guests can relax and unwind. Going live just a month ago, they’re building a team of storytellers who are sharing their resort worldwide. One in particular stood out—Chris, who shared the dream-worthy moment below—not once but 5 times. His friends & family shared, too (to the tune 4 more times) reaching over 5,000 people so far. There’s really no better way for Jamaica Inn to get introduced to a new audience of future travelers perfect for their timeless resort. Bolongo Bay Beach Resort is an all-inclusive resort surrounded by the tastes, sights, and sounds of St Thomas. Since switching on, guests are reliving the favorite moments from their stay, and Bolongo Bay is becoming part of these rich, potent stories being shared—a win-win. What’s more impressive? The incredible impact since launch! Collectively, travelers to Bolongo Bay have introduced the resort to over 127K folks around the world in less than one month. Of this captive new audience, over 13,500 unique visitors came back to their site through a quality introduction, and more than 1,500 converted into warm leads to nurture into future guests. Somerset on Grace Bay of Turks and Caicos is the picture of the Caribbean. It’s been named a top area resort by both Travel + Leisure and Forbes. But that’s not the only reason they’re going global. 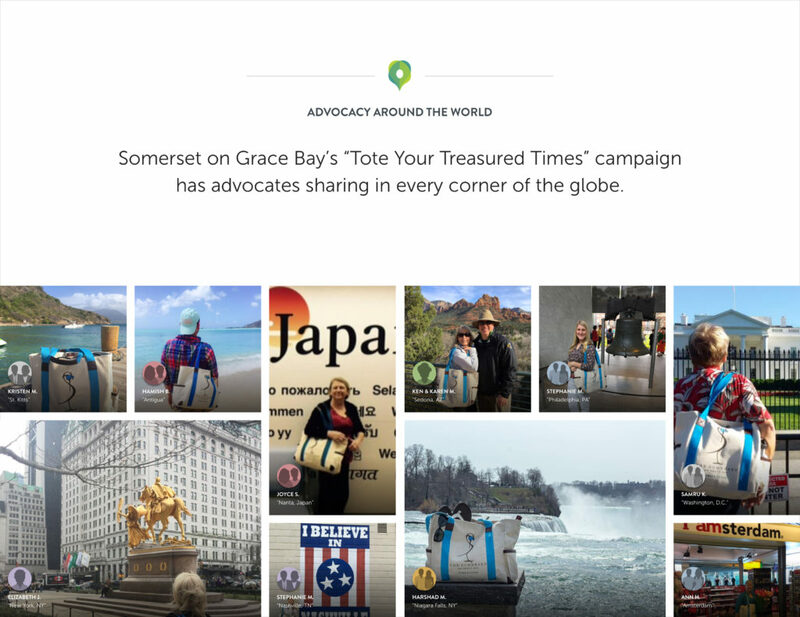 With their “Tote Your Treasured Times” campaign, they’re growing a team of advocates who are sharing Somerset on Grace Bay at every corner of the world! Their travelers are helping tell the story of Somerset in the most authentic way, combining advocacy with an incredibly fun campaign for the hotel and guests alike. One of the best part of our jobs is seeing the incredible memories our hotels, resorts & destinations create every day for their travelers. Add to that the impact starting day 1 thanks to these travel stories being shared, and we can hardly contain our excitement for these new launches kicking-off with Flip.to. 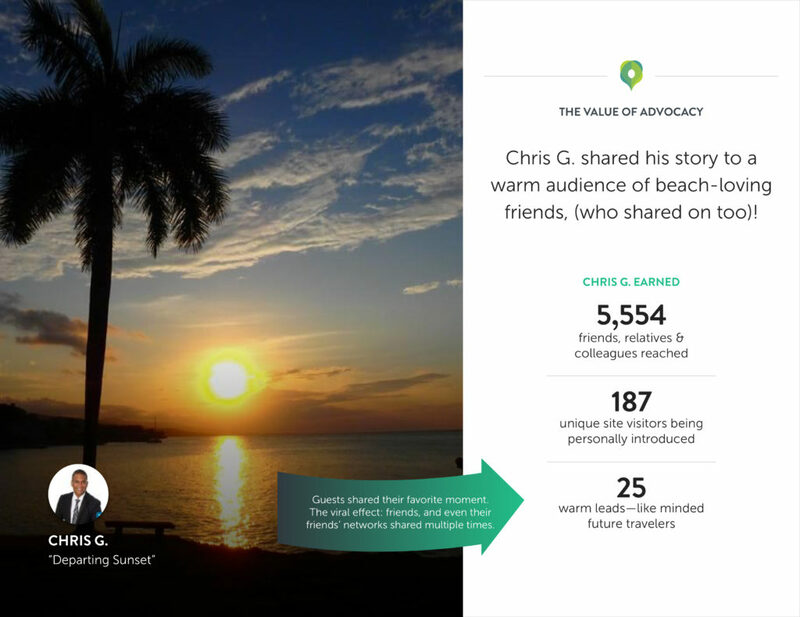 Want to see what your destination or hotel could do with advocacy in the next 30 days? We’re happy to share—find out by getting in touch here. Director of Marketing for Flip.to. Dog lover, wanderer, and admirer of all things design. These storytellers shared the high points of their experiences at these breathtaking resorts and destinations—leading to incredible impact and huge wins. As we look ahead to the 2019 OPMA Executive Summit, we chat with our friend and industry leader Maurice Arbelaez for his take on the future of property managers. From great storytelling to infusing real hospitality in your marketing—we share these tips in four webisodes delivered straight to your inbox. These storytellers shared their inspiring stories of the Caribbean. Our favorite Flip.to stories from this year to get you thinking about travel marketing in new ways.